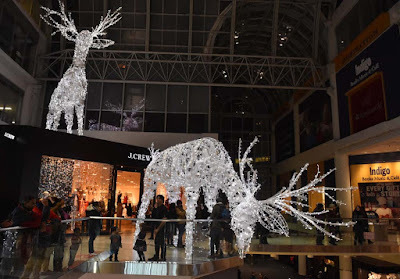 Decorations are going up all around the city in anticipation of Santa's special night and the winter festivals have started. 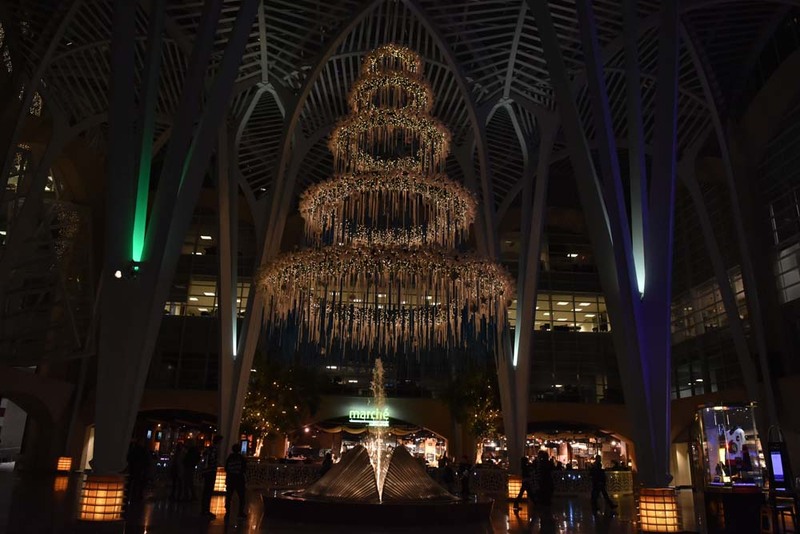 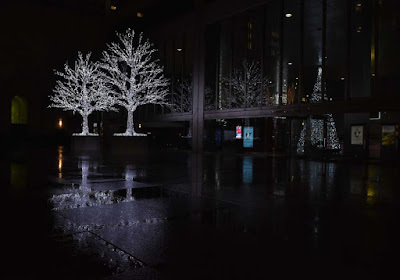 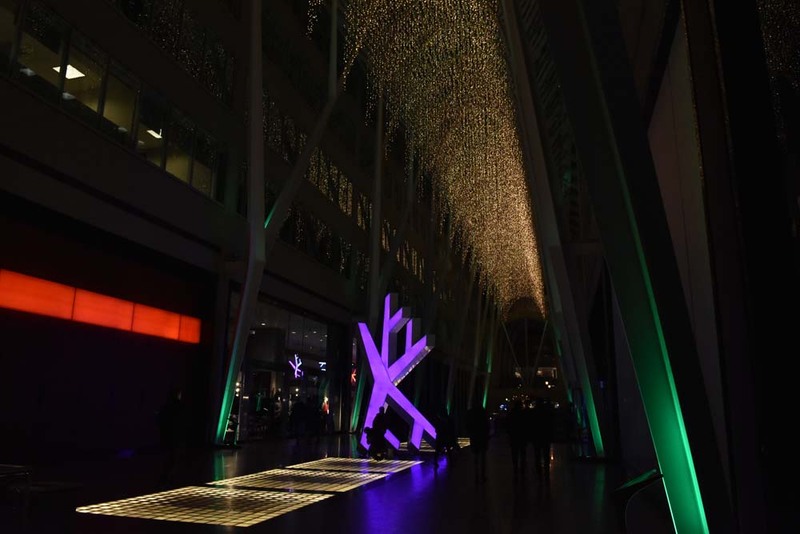 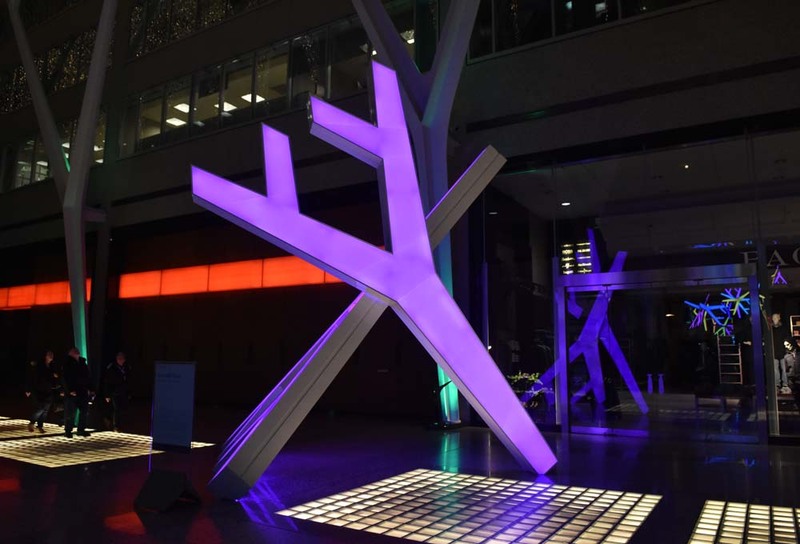 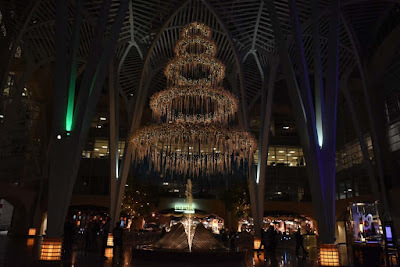 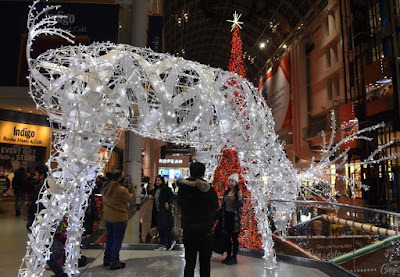 The Toronto Eaton Centre has the giant deer installations along with the humongous Christmas Tree and across the street Hudson's Bay/Saks off 5th Avenue Christmas windows are on display while the Snowflake installation is back at Brookfield Place. The Santa Claus Parade was on November 18 so Santa is free to boss around the elves during the peak of toy making season. 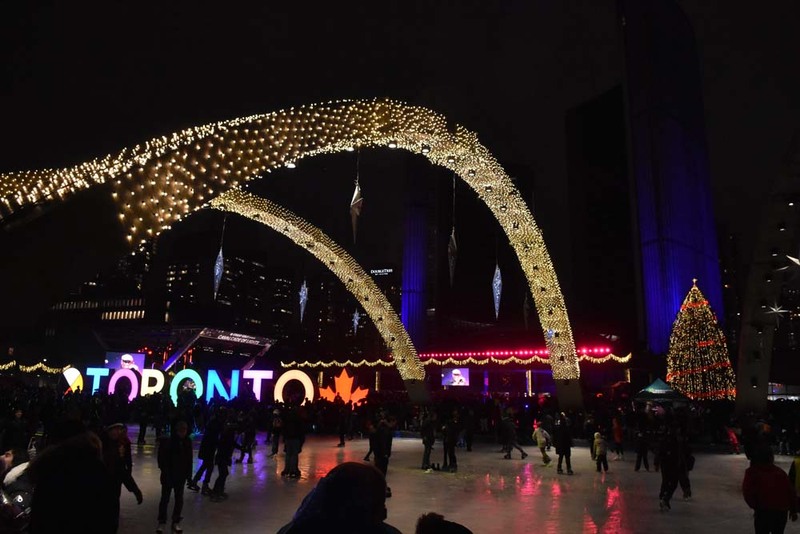 In addition to the 2018 Distillery District Christmas Market November 15 to December 23, there is the new Aurora Winter Festival in Ontario Place November 29 to December 30. Also returning is the Holiday Fair in Nathan Phillips Square December 1 to 23. 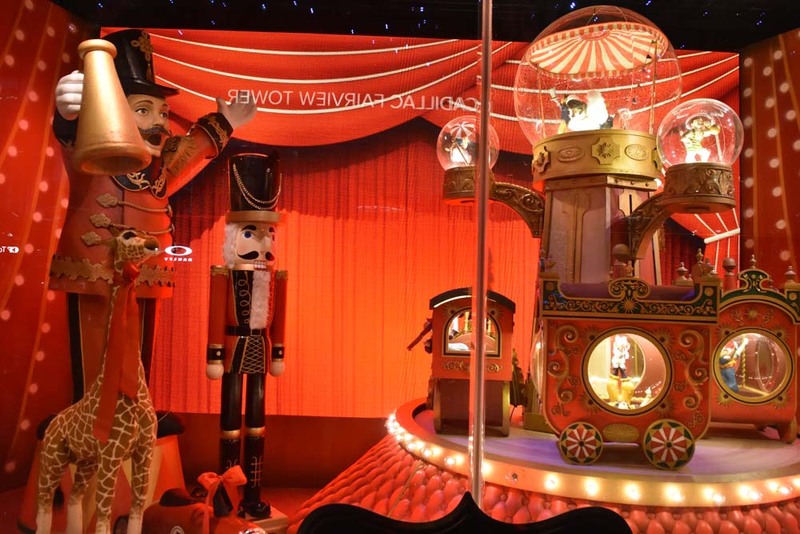 Some other winter festivals are a Nutcracker Christmas at the Castle (Castle Loma) December 1 (start of daytime programming) and December 17 (start of evening programming) to December 23, Evergreen's Winter Village December 1 to 31. 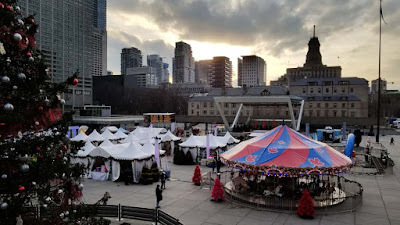 The Winter Solstice celebration in Kensington Market features their amazing parade and burning ceremony on December 21. 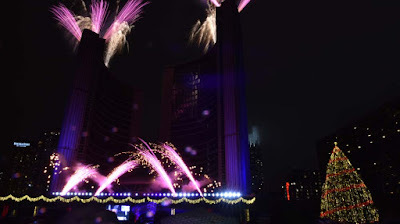 Here is the 2012 solstice celebration. 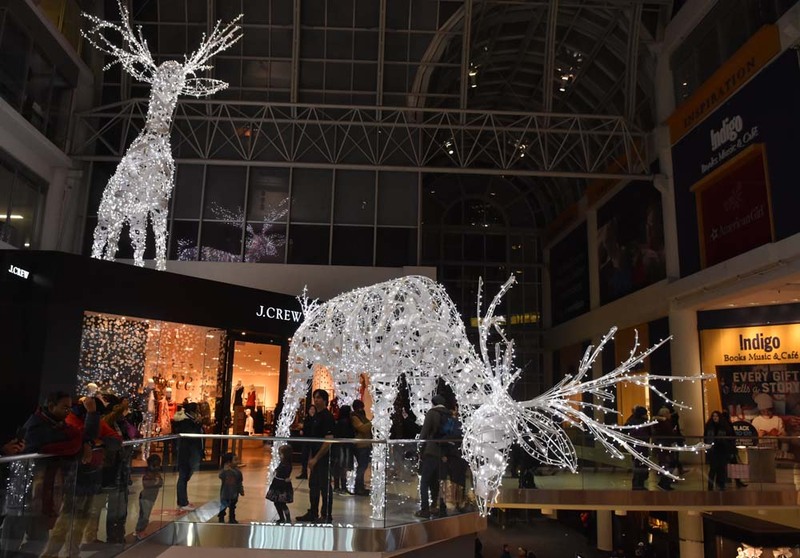 See more of the Christmas season after the jump.